Call us today to schedule a FREE New-Patient Consultation. Never a charge for consultation to determine if chiropractic care can be a benefit to your health. Call Now for an Appointment. 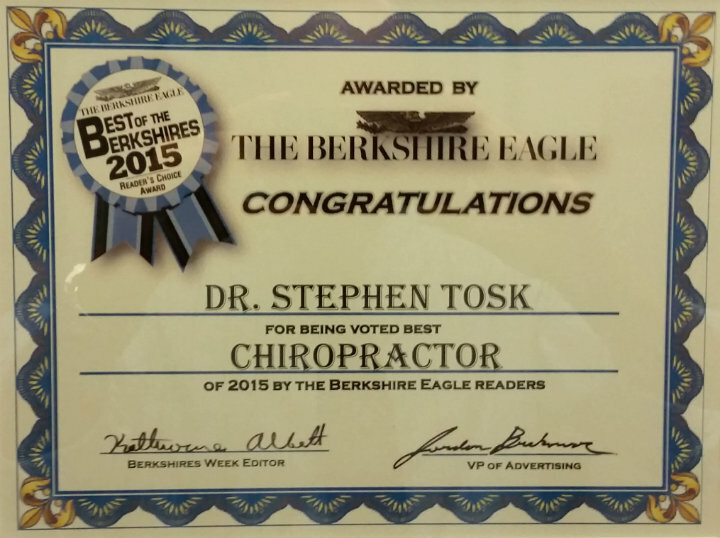 Thank you for visiting the website of Pittsfield Chiropractor Dr. Stephen Tosk and Tosk Chiropractic - a professional Pittsfield chiropractic clinic. In practice as well as online, Pittsfield Massachusetts 01201 chiropractor Dr. Tosk strives for excellence through superior patient treatment, education and satisfaction. We hope you enjoy the information within and share it with others. Again, thank you for visiting www.toskchiropractic.com and remember to come back often.